Always Fresh. Rep After Rep. The Mint is the ball that lacrosse has been waiting for. By using a new proprietary material and advanced manufacturing processes, ECD has developed a better performing, longer lasting, and safer ball. Players work very hard to ensure their sticks perform consistently, but the ball has always been an uncontrolled variable. Traditional rubber lacrosse balls lose their grip and become hard over time and that has a huge affect on how you play. You may put in 5,000 reps of wall ball at home to perfect your muscle memory, then get to a game and struggle because the ball was different. The Mint’s non-rubber polymer allows it to retain its grip month after month, season after season. With the Mint, every rep counts. The Mint meets NOCSAE SEI standards and is approved for NFHS and NCAA game play. 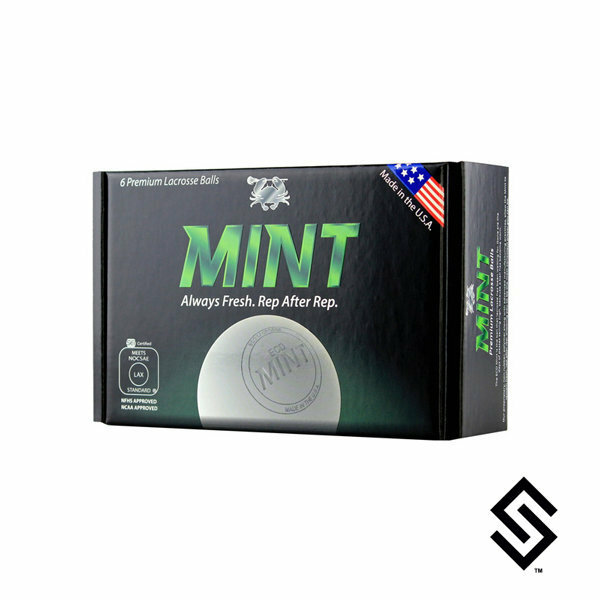 Always Fresh - Our proprietary, non-rubber, polymer allows the Mint to retain its grip month after month, season after season. Upgraded Safety - The proprietary material used in each Mint does not become hard over time, which means impact forces do not increase as the ball is used. Made in the U.S.A. - Every Mint is proudly manufactured in the U.S.A. with the highest quality materials and the most advanced processes.